Property buyers in Malaysia will soon be able to view prospective properties via virtual reality (VR) technology, which provides a 360-degree realistic viewing experience. REA Group Ltd Chief Executive Officer, Tracey Fellows, said the group was currently conducting a series of pilot tests in order to enhance the customer”s experience when buying a property. REA Group is an Australian-based multinational digital advertising company specialising in properties. “We are Google”s worldwide partner for the Google Daydream Virtual Reality Apps, and we have the first VR real-estate app which enables customers to view prospective properties through the VR goggles. “We use digital technology to change the way people experience and search for property,” she told Bernama during a recent interview. Fellows said the group has always looked into innovation and technology in the property market. 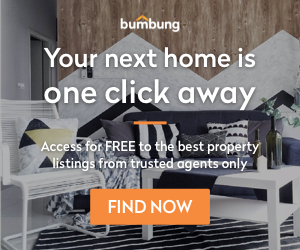 “We really believe that technology and innovation can make property search a much better experience for the consumers, but I think it would take some time before VR goes mainstream. “Currently, we have VR services in Australia, but it is not yet mainstream due to the difficulty in obtaining equipment such as goggles and others,” she added. However, she hinted at the technology would soon be available in the local market, saying that it would be introduced within the next two years. Meanwhile, iProperty General Manager for Malaysia and Singapore, Haresh Khoobchandani, said REA has been continuously innovating its technology and services to help the world experience property in different ways. “What you see there (the 3D technology in Australia) is currently being developed here in Malaysia. “We are creating the second version of our VR goggle here in Malaysia, and we are engaging with the property developers on its deployment in the local market. “There will also be other visualisation products. People are spending more time on the internet and I believe they are ready for this kind of innovation in the property market,” he said. Recently, iProperty introduced a new mobile app, where the company redefined the property search experience for consumers, making it simpler, faster and more integrated. “The app is useful for consumers, developers and property owners, as buyers can now view more properties from a wider pool of developers and property owners. “Within one week, the developers which had registered with the app saw a 40% increase in enquiries from the potential buyers, and we expect that it will continue to grow” he said. This article was first published on Bernama.